To the Editor: Hectors et al. provide an important review of the effects of exposure to environmental chemicals on beta cell function and their implication for the development of type 2 diabetes . A disruption of beta cell function is not limited to type 2 diabetes, it also plays a role in type 1 and gestational diabetes. While the epidemiological and experimental evidence is strongest for an association between environmental chemicals and type 2 diabetes, there is preliminary evidence linking chemical exposures to both type 1  and gestational diabetes [3, 4]. The incidence of type 1 diabetes is increasing in children throughout the world, most rapidly in children under 5 years of age, and this rapid change cannot be attributed to changes in susceptibility genes . Twin studies and epidemiological studies have shown that environmental factors play a critical role in the development of type 1 diabetes by initiating autoimmunity and/or contributing to beta cell destruction . Because of this aetiology, type 1 diabetes is likely to originate during development (in utero and the first few years of life) as a result of the interactions of environmental exposures with genetic background. Thus, we propose that environmental chemical exposures may play a significant role in type 1 diabetes development. Dahlquist  proposes that environmental factors that can ‘overload’ beta cells may play a role in the increasing incidence of type 1 diabetes in children. A variety of environmental factors can put excess stress on beta cells by encouraging the hyperfunctioning of beta cells or by increasing insulin resistance. This excess stress could sensitise the beta cells to the autoimmune attack . Environmental chemicals should be considered candidate factors that can not only disrupt beta cell function, but also increase insulin resistance, thereby contributing not only to type 2 diabetes but also to other diseases related to insulin resistance, including gestational diabetes . In addition, many of the chemicals shown to disrupt beta cells are also known to affect the immune system in ways that may induce or exacerbate autoimmunity . The ability of chemicals to contribute to both beta cell overload and autoimmunity may be a critical combination for the development of type 1 diabetes. There is some evidence that chemicals may be able to contribute to insulin-dependent diabetes directly via their effects on beta cells. For example, the rodenticide Vacor [1-(4-nitrophenyl)-3-(pyridin-3-ylmethyl)urea] can induce insulin-dependent diabetes in humans and was removed from the market following a number of accidental or intentional (suicidal) poisonings in adults and children. Interestingly, islet cell autoantibodies were detected in some people with Vacor-induced diabetes, suggesting an autoimmune response characteristic of type 1 . Hectors et al. point out that menopause and pregnancy are risk factors for type 2 diabetes, when oestrogen levels are outside the normal range . Women develop severe insulin resistance in late pregnancy, sometimes resulting in gestational diabetes if the beta cells cannot keep up with the demand for insulin . It is less well known that some women develop ‘autoimmune gestational diabetes’ during pregnancy, which is associated with the presence of diabetes-related autoantibodies and a higher risk of developing type 1 diabetes . In children, the incidence of type 1 diabetes is high during puberty , another period of hormonal change. These patterns raise the possibility that hormonally active, endocrine-disrupting compounds may contribute to the development or progression of not only type 2, but also gestational and type 1 diabetes. 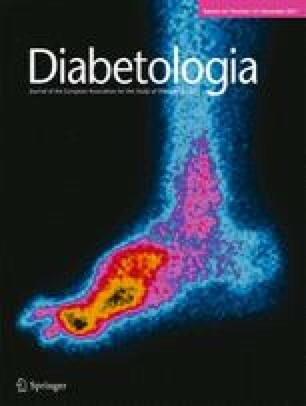 Exposure to bisphenol A (BPA) during pregnancy can disrupt glucose homeostasis in pregnant mice as well as in their male offspring; this evidence provides biological plausibility to the hypothesis that widespread endocrine-disrupting compounds can influence the development of gestational diabetes as well as diabetes in the offspring . During development, environmental chemicals with endocrine- or metabolic-disrupting activity may conceivably alter the programming of beta cell development and function, thereby increasing their sensitivity to environmental chemicals with immunotoxic activity. Many immunotoxic and endocrine-disrupting chemicals are common contaminants of substantial subgroups of the world’s population, including newborns and infants. Endocrine-disrupting chemicals shown to affect the immune response (cytokine synthesis or T cell profile) in laboratory studies include BPA, nonylphenol, octylphenol and phthalates . Developmental exposures to these and other chemicals with similar properties should be investigated as potential contributors to the initiation and progression of type 1 diabetes. Further research into the role of environmental chemicals in the development of these three types of diabetes is warranted. There is compelling basic, clinical and epidemiological evidence to suggest that environmental chemicals can no longer be ignored as potential contributors to the risk of type 2 diabetes. Why then should they be overlooked in research on the causes of type 1 and gestational diabetes? If causal links are shown, the opportunities for primary prevention would increase substantially. If sensitivity to all of the main types of diabetes is at least partially due to environmental chemical exposures, our focus could shift to actual prevention by reducing exposures. Primary prevention is more effective and efficient than lifelong interventions, the costs of which are especially significant in the case of type 1 diabetes. Primary prevention would also provide an opportunity to avoid the devastating diagnosis of diabetes in a young child. All authors contributed substantially to conception and design or analysis and interpretation of data, drafting the manuscript and revising it critically for important intellectual content, and approved the final version for publication.